Some friends of mine were down in Bristol this weekend and in honour of their visit, I added a few new touches to my look. I’ve been experimenting with a small side plait, channelling Daenerys Targaryen (Big Game of Thrones fan here 🙂 ). I love this look and would have tried it earlier if I was more skilled at plaiting! I would love to try a Katniss (The Hunger Games) inspired waterfall plait but I think I would struggle. That’s something to practice! 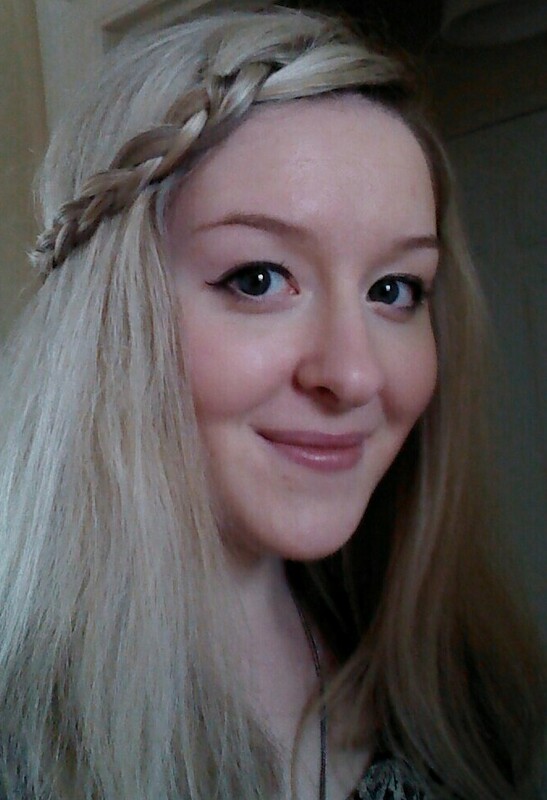 This plait was perfect for me this weekend; I wanted to wear my hair down but I don’t like having hair in my face. Another new thing is my obsession with a colour I like to call ‘Mint’ (a pale pastel turquoise). I’ve been loving pastels this spring and it’s such a lovely colour for sunny spring days like this weekend! I’ve just treated myself to this new nail polish – Breakfast in Bed from the Rita Ora for Rimmel range. I think my preoccupation with this colour started when we moved into our flat last year. The walls of the living room were painted this exact colour. It’s unusual and not the colour I would choose in my own place, but it really works with the existing fixtures. I also have a casual tee and sunglasses in this colour – I thought about taking a photo of this combination but I think it would be mint overload! On my wishlist is a leather pencil skirt in this colour. It was quite a relaxed weekend – we had a quiet girly night in with facepacks, trashy TV and gin! On Sunday we had a long session in the Thermae Bath Spa. It has an open air rooftop pool which we spent most of our time in. The views over Bath are beautiful, as was the weather. I’ve caught the sun on my face and shoulders! Thermae Bath Spa is wonderful, especially on a sunny day! I was lucky to go there earlier this year and not freeze to death on the roof top! 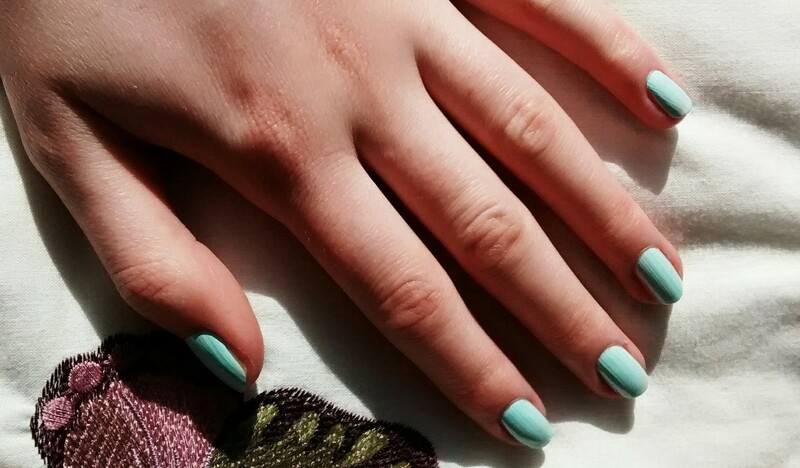 I love the mint nails – I’m having a real light blue moment right now. PS. Totally working the Daenerys look! I’m also loving your nail varnish, short nails are equally cool. Good luck with the leather skirt hunt, could you make one? Oops, mind you leather isn’t the easiest of materials to sew. There must be an alteration service in town, put out a tweet asking if anyone knows a good one. Happy Easter! ← A gorgeous sunny evening – time for a bike ride!